A continuity is a group of books or novellas written by different authors with a connected theme that runs through each story. Writing a continuity series with other authors can be a fun and challenging process as well as a great way to cross-pollinate readers. The most important part of the process starts long before the writing begins…setting expectations in advance. If you’re writing a continuity series involving shared characters and fictional locations for a publishing house, the stories are usually copyrighted to the publisher. For example, when I plot and write a book for Harlequin, I own the copyright to that book. When I write a continuity series for Harlequin, which means the publisher provides the plot, the publisher owns the copyright. This means I cannot write spinoff stories with the fictional setting or characters in that series. Publishers do this to maintain the integrity of the product. They don’t necessarily want an author writing paranormal stories with characters introduced in an inspirational series. I am not a lawyer, nor do I play one on TV, and I would never, ever give legal advice. However, the reason we have contracts is to set expectations ahead of time. I have heard horror stories of authors coming to legal blows over copyright issues. Authors are very protective of their work. Agree ahead of time whether or not the authors in the series can write spin-offs of your shared world outside of the continuity series and make sure that agreement is in writing. I don’t want to wade into a quagmire here—this is just about setting the expectations in advance. Now for the fun part! Start building your world together. Decide on the common elements. 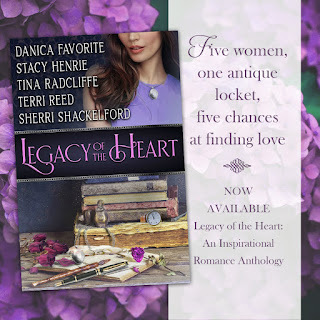 Does an antique locket tie your story together? Are the main characters related? Where are the stories set? What is your heat level? (Confession Alert: I once wrote a novella for a collection with higher heat level as an experiment. Major backfire. I missed an opportunity to connect with readers of fellow inspirational authors. Don’t be a ‘Sherri’. Experiment on your own.) It’s generally best to stick with authors who write a similar heat level. Communication is key. When we were writing the Legacy of the Heart anthology, we agreed that the characters in the contemporary stories lived in Wolf Creek. However, the historical authors weren’t tied to that location. People move over the years! The item that held the stories together was the locket passed down through generations. If the location is a continuity point for your series, make sure that expectation is set ahead of time. Plus, I’m not great with deadlines. I like to meet a deadline at 12:01 am by falling asleep on the keyboard. (Ask me about the time I fell asleep on the keyboard and added 1,017 pages to my manuscript with the spacebar.) All I can say is this—don’t be a ‘Sherri’. Be nice to your fellow authors and allow everyone time to read each other’s stories and get a sense of the characters. If you don’t like how another author has characterized your hero/setting/Alpaca llama—tell them. Assume that no one in your life is a mind reader! I *want* to know if your hero’s Alpaca llama would never, ever spit on anyone. Dropbox is not just for photos! When writing a continuity series for a publishing house, the editor will provide the authors with a ‘bible’ containing an outline of each book in the series and descriptions of the characters. Often these details are adjusted during the course of writing the novels. Setting up a shared document is an ideal way to keep track of these changing details. Programs such as Dropbox and Google Docs are excellent for file sharing. Users can track changes made by other authors and receive notification when the document has been updated. The programs allow users to see who made the changes while keeping a copy of the original text for comparison. Whether your publisher gives you a bible or you create one with your fellow authors, this tool is invaluable. For example, in Legacy of the Heart, the locket is passed down through generations. Having a description to reference ensured continuity. Facebook groups or email groups are also beneficial. These tools provide a searchable database if you forget something. (Have you ever been in a group communique where one person keeps asking the same questions that have already been answered over and over again? Annoying!) Continuity authors often set up either a private Facebook group or a dedicated email group to streamline communication. One of the most helpful tools for me in collaborating with the other authors for our anthology was our secret Facebook group that Tina set up for us. It was the perfect venue to share pictures with everyone or snippets from our works in progress as well as ask questions rather than flooding each other's in-boxes with email. We even did a poll on there when we were picking a title. It was a great way to communicate as a group and keep us all in the loop. It’s very important to respect the characters of each author. When an author introduces or brings onstage a character developed by another author, it is imperative that the two authors work together to make sure that character is authentic to the development author’s vision for the character. Readers find it jarring to come across a secondary character who is portrayed one way in a book and then later is the hero or heroine of their own book and is portrayed completely different. Another important thing is for authors to work together in developing secondary characters who will not become protagonists of their own story so that those secondary characters stay consistent from book to book. In all honesty, this was my first continuity. I waited until I wrote ‘the end’ on my story to go back and read the other stories and layer in a bit of foreshadowing from the stories that would come after mine. It was totally a kick to see my characters and a secondary character appear in person or referred to in the other two stories. This was a novella collection, so it was easy to keep track of names and information, but I would definitely set up an Excel spreadsheet bible for a novel-length continuity series. Communication is key. The more you let the other authors know what you have planned, the better. Especially if you need them to leave clues for your book in their books. Finish your book early! I know it’s hard, with deadlines, but if you have your book done early, you’re giving yourself enough time to let the other authors read it and give their feedback, so you have enough time to make any changes for the sake of the continuity. can then use those details to incorporate into your story. The smallest details make a huge difference, especially in keeping readers grounded in the same sense of time and space as the other stories in the continuity. Now for the super fun part! Three winners will receive ecopies of the book, and a fourth winner will receive an ecopy—plus a cool mug in a cool box! In my novella, one of my characters is afraid of ending something, but endings aren’t all bad—Name a time in your life when an ending was a positive. A self-professed crazy chicken lady, Danica loves the adventure of living a creative life, and loves to explore the depths of human nature and follow people on the journey to happily-ever-after. Though the journey is often bumpy, those bumps are what refine imperfect characters as they live the life God created them for. Oops, that just spoiled the ending of all of Danica’s stories. Then again, getting there is all the fun. 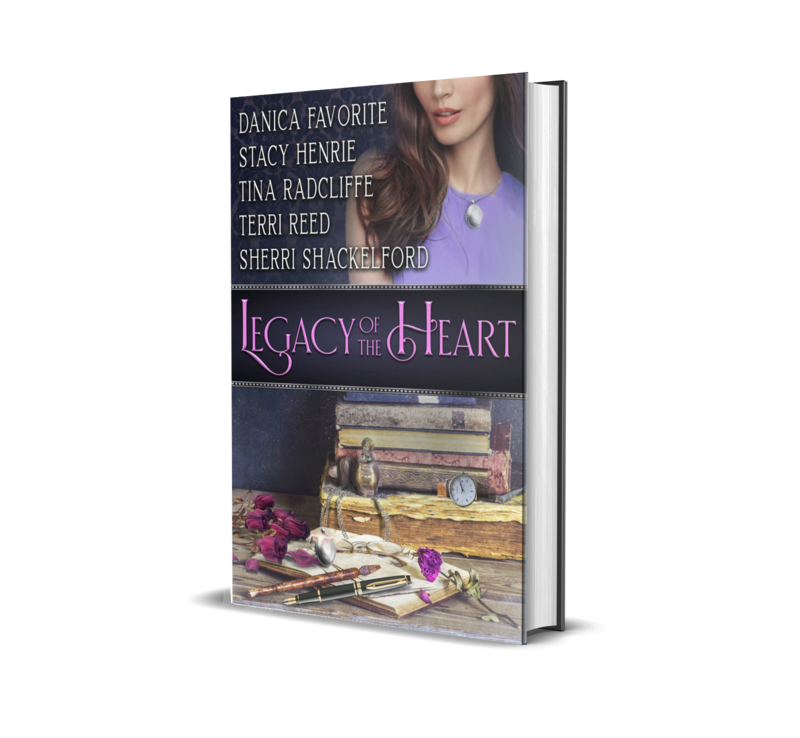 A USA Today bestselling author, Stacy has published more than a dozen inspirational historical romance novels and novellas. Born and raised in the West, where she currently resides with her family, Stacy enjoys reading, road trips, interior decorating, chocolate, and most of all laughing with her husband and kids. Originally from Western New York, Tina left home for a tour of duty with the Army Security Agency stationed in Augsburg, Germany, and ended up in Tulsa, Oklahoma, and later moved to Colorado. A freelance writer for over twenty years, Tina is an RWA Honor Roll member, a two-time RWA Golden Heart finalist, two-time ACFW Carol Award finalist, and a 2014 ACFW Carol Award winner. She currently resides in Arizona, where she writes fun, heartwarming romance. Terri’s romance and romantic suspense novels have appeared on Publishers Weekly Top 25 and Nielsen’s Bookscan Top 100; have been Amazon Bestsellers and featured in USA Today, Christian Fiction Magazine, and Romantic Times magazine; have finaled in the Romance Writers of America’s RITA contest, National Reader’s Choice Award contest, and American Christian Fiction Writers’ Carol Award contest. Sherri is an award-winning author of inspirational, Christian romance novels for Harlequin/HarperCollins. A wife and mother of three, Sherri’s hobbies include collecting mismatched socks, discovering new ways to avoid cleaning, and standing in the middle of the room while thinking, “Why did I just come in here?” A reformed pessimist and recent hopeful romantic, Sherri has a passion for writing. Her books are fun and fast-paced, with plenty of heart and soul. Would love to try this sometime. It would be tricky to coordinate with all those people, but so rewarding if one can do it. Sherri, I like the term "level of heat." I'm from the three-dot school myself, so I'd be comfortable writing with someone of the same mindset. What's the three-dot school??? And Hi to you Kaybee published author. You guys are so much smarter than me. I've never heard the term either! Hello, Sherri!! Love, love, love this post!! All those "Don't be a 'Sherri'." I want to BE A SHERRI! She writes great books, is a fun person, and has a heart for her stories. I like Tina's tip that she would create an Excel spreadsheet bible for her next continuity series. I'm just getting the hang of google docs and love it. I see great possibilities for my own writing using that. I like when reading a continuity series characters that are a lead in another story make appearances in the other stories. It's like getting a continuation of them. Or if you're left with a question in one story, it's answered in another story. Happy Tuesday, Sherri!! Sally, I love Excel spread sheets and use them for so much in my writing...character charts, to keep track of plotting, even word counts. Right now I'm doing one for a story I want to write on the Battle of Lexington and Concord, and it's helping me keep my timeline in order. I don't have any special writing programs for the computer, maybe some day, but I get a lot of mileage out of Word and Excel. Great stuff, I haven't bought a bottle of White Out in YEARS. Haha!! I was just having a conversation with someone just the other day about bottles of White Out. I used to use Excel a lot more than I do now. I may have to dust it off! I should take that advice. I like to make all the mistakes first so others don't have to!! Taking it for the team. Thank you, Sherri. Terri, I'm with you! Pen and paper all the way! What a great post, Sherri! And these were wonderful tips for doing a continuity. You brought up points that I had never considered. I've never done a continuity - and I'm not sure if I ever will - but I'll keep your post around for ideas! They really are fun--I highly recommend trying one! I brought fresh strawberries, homemade granola, and yogurt for the breakfast bar this morning! There is also coffee, with a variety of sweeteners and flavored creamers. And you know I wouldn't forget the tea! Pulled an all-nighter and just getting up so this is very welcome, thank you. I haven’t eaten yet today now you made me hungry. Yum I love strawberries. I don’t do dairy so the yogurt is out. But I do have some cinnamon coffee cake my daughter brought home from her bakery. Great post, Sherri. I love to read continuities and I especially love stories where one item like the locket is passed down and figures in all the stories. Please enter me in the drawing. I definitely have a story about a time when an ending was a positive. When my teaching job was eliminated and I was out of a job, I thought it was a terrible thing. (Especially since the superintendent and principal thought it was a good idea to tell me first thing in the morning, then send me back to teach for the day.) But I went on to find another job in another town and that is where I met my husband. So that ending was only the start of my new beginning. Talk about HEA!!! What a story, Sandy!!! Now that's a beautiful example of an ending being a positive! It is so much fun to look back and see the hand of God in situations where we were sure things were going to work out portly. That’s wonderful that you met your husband at your new job in a new place. That would be poorly, not portly. Voice texting can be very erroneous. Lol. How awful that you had to still teach that day, Sally! And how neat that this ending led you to a wonderful new beginning! Sherri, this is such a great post. One I'm going to have to print out for future reference. I've always been curious about continuity series. Thanks for giving me a glimpse into the process. A continuity seems like a lot more work. You also have to work with more restrictions to creativity. I'm pretty sure it would take more time to write and particularly to do the revisions. You may see revisions that have nothing to do with your book were it a single issue. Considering that you don't even get the copyright, why even do it? Especially if you're already a well known writer who won't appreciably benefit by appearing with bigger name authors? Does it pay enough more for the time put in to be a more attractive alternative than a normal novel. BTW: how are publishers in releasing the copyright at a later date so you could use just one character, with all her loveable quirks, in your next novel. Your new book might actually sell the collection in ebook form long after the print book is out of print. Good questions, Vince. But I've heard continuities sell better because you are pulling in the fan base of all the authors. Hi Vince, continuities can be a lot of work. So much depends on the complexity of the overlapping storylines and the number of characters. Part of why I continue to write continuity stories is the challenge and the camaraderie of the other authors. Pay versus time spent writing is a personal issue for each author. And is something each author needs to make their own decision about. As far as I know I have not heard of any publishers releasing copyright to continuities. It's a great way of picking up new readers--exposing your work to people who might not otherwise read your story. Every reader counts! I think of continuities more as an 'advertising' cost. For larger publishers, it's a good way to show you're a team player and to pick up contracts. Continuities tend to have excellent sales. Writing for a large publisher doesn't guarantee getting a copyright back - especially for well known authors. They want to hang onto that backlist! That's why a lot of us do novella collections if we're indie publishing. It's a nice way to reach a new audience with less work than a full novel. Well done Sherri. You’ve captured the essence of continuities. This was a fun project to work on. It took me forever to get my story done with my broken wrist but I liked all the characters. I agree, Terri. I thought it was a really fun project too. Reading all the other stories was just a big smile for me. Yes - I always like reading the other stories! Wow, where has the time gone? Life as a Seekerville alumna has been one thing after another! But when I heard Sherri et al. were were the guest bloggers today, I wanted to pop in and say hello--and to thank you ladies for this insightful discussion about working together on a continuity. Copyright ownership is certainly one factor I wouldn't have thought of. Congratulations on what looks to be a charming collection of stories! I keep hearing that music they use for graduation when people say Seekerville alum. Pomp and Circumstance! I always hear 'pomp and circumstance' when I think of you, Tina! Mostly circumstance. Like what did she do now. Wouldn't that be great?! Sleep writing sounds like a much easier way to get things done :) And it couldn't be any worse than what I write when I'm awake! Hi Sherri. I wasn't familiar with the term continuity for a series so I enjoyed seeing your definition. I am looking forward to reading this collection. Connie! We look forward to your thoughts on the collection. I admit the definition is my own - but I think it's a good description. :) I hope you enjoy our stories!! Books sounds great and cool mug. As a reader I would love to read it. You are so in, Kim Hansen!! As for endings...it was leaving my 20s behind! The year I turned thirty I took huge leaps of faith - left a job of nearly 10 years to start my dream job, bought my first home, AND THEN met my husband. I can't believe I missed yesterday!! What a great post! Thanks for all the advice and info from all of you. It's so interesting to see how continuities work. The continuities from the publishers can be really complex...For the second Cowboy Creek Series, I had a two-inch binder full of backstory..Not even joking! But it's a cool challenge. Everyone was out of town yesterday! Great to see you, Missy. That's amazing, Sherri! Very complicated but so helpful, I'm sure. I'd love to work with a continuity someday. You gave great tips. So fun. Throw my name in the hat for the collection. There's nothing like the creativity of other writers for inspiration! The above comments are all very important considerations. But I think there is a huge difference between a continuity series of individual novels released over time…like the "Alaskan Brides" and "Alaskan Bride Rush"…and five novels or novellas sold as a single book…like "Legacy of the Heart". I see the separate books as a viable marketing approach in that each book in the series can help sell all the other books but each author in that series only has to write one of those books. I like that. However, the all stories in one book, seems unlikely to sell five times more books than each individual author would have sold as a single release. There is also the pricing option. When a five author collection sells for less than a single release, then readers can buy the book just to get a single favored author. The other stories are a 'free' bonus. This can very much help a new author find new readers. The PR advantages are very evident here. Yet when the collection costs over $10, then it is not worth buying to get one author and the pulling power of the collection is greatly reduced. I think these two types of publications are very different and require different considerations to determine the value to any given author. Great post! I'm still thinking about the post and all the comments. Thanks all. Good points, Vince. As a reader, I tend to think of the multi-authors in one volume as a way to find new authors I may not have read before. I love the few continuities I have discovered over the last few years. But, man! It's hard enough to meet all my own expectations when writing. I can't imagine having to live up to others, as well. You definitely have my respect. And I totally get the heat level thing. I have come across several stories lately that were a bit spicier than I was expecting. What a fun group of authors to work with! I've headed up a couple of continuity series and they are some of my favorite books. I loved sharing, cooperating, and coming together to create a rich experience for the readers.